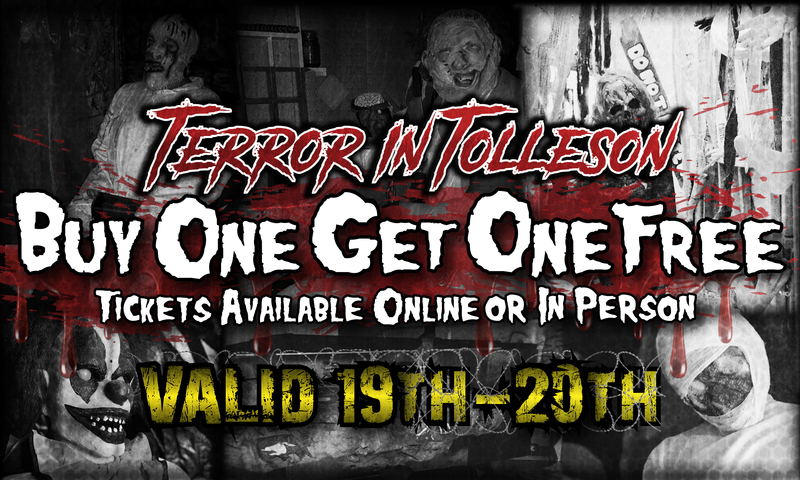 Friday and Saturday: This Deal of the Day is buy one, get one free to Terror in Tolleson! Welcome to what's called a house haunt! Get ready for the 5th Annual Terror in Tolleson , where volunteers have literally transformed someone's home into an attraction! There are about 20 scare zones in a row filled with actors, jump scares, tunnels and a maze that starts in the garage and ends in the backyard! The masterminds are twin brothers, Isaac and Gabriel Pacheco! Isaac told me that they, "intentionally force people to open doors to go through the haunt, which adds to the fear since they don't know what is on the other side." He also shared they have old school movies covered there, urban legends, dolls, mirrors, The Exorcist and more! It takes about 10-15 minutes to go through, and they prey on as many phobias as they can! Isaac said that most people come out completely blown away by the production value, the sounds and effects, and how terrified they were inside! Now, it would normally cost $10 per person, but they're teaming up with us for a Smart Shopper Deal of the Day! They're doing a buy one, get one free deal! That means you and a friend get to go for the price of one! Click here to get the coupon, which you can either print out or show on your phone. This deal is valid for Friday (10/19) and Saturday (10/20). Plus, they donate to help groups in the community, like AZ HYPE. The hip-hop squad members are two-time National Champions! This weekend, the dancers will be putting on a show every hour! You can donate online or in person. They will also be accepting donations for their father who was hit by a red light runner just a few months ago. He's the one who inspired them to create Terror in Tolleson. You can either donate online or in person if you're interested. Open Fridays and Saturdays from 7 p.m. to 11 p.m.